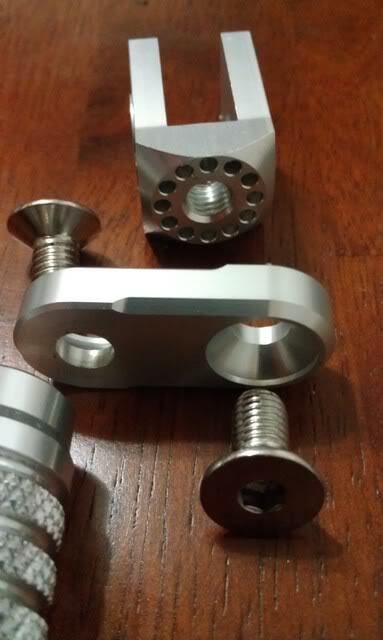 So I ordered these foot pegs after seeing them on Fleabay and previously discussing them, and other options a few weeks ago. May have to start another post I think I'm running out of space? I think those tight, sharp corners had something to do with how well these mounted up! Very precise and snug, with little play. I was impressed. 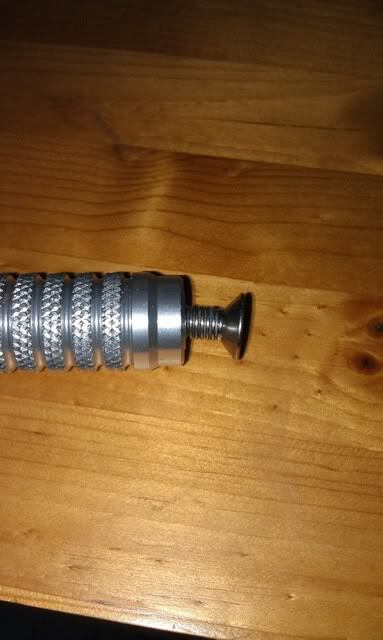 I would have liked to see though; a second, maybe longer steel key pin...if not for just a spare. I did stand on them, while the bike was on its stand. They seemed to hold my weight alright (I'm @190lbs), but there was some flex when I jumped. I think a steel plate in the middle part would feel more sturdy. Wow looks great. So more leg room now. 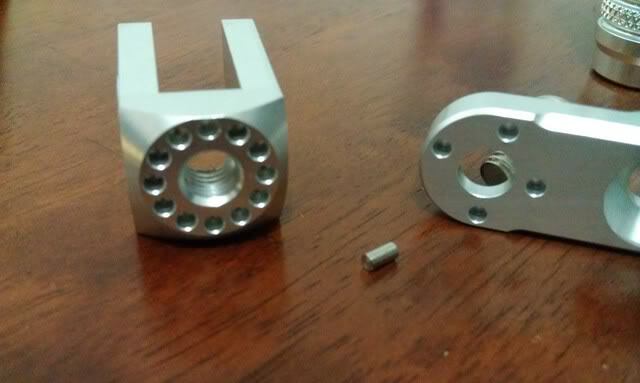 Like I said, not sure which way I would (will) put them but I like the knurled surface like my woodcraft race pegs. 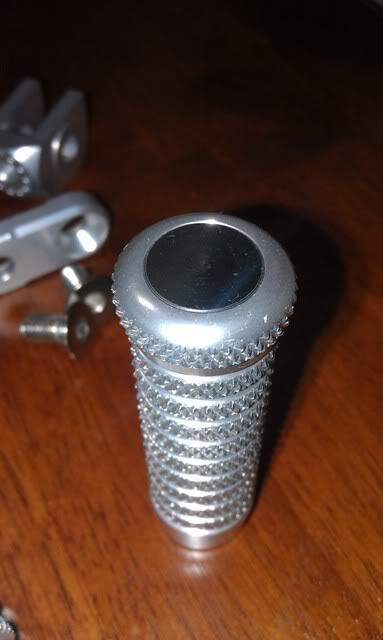 The hardware that comes with them appears stainless steel. I just wish that the middle bar thing was too...but time will tell how they hold up. If they fail, you can be sure I'll be on here posting a follow up LOL. And yeah smokinjoe the fit and finish is excellent, it really is. They look twice the price...just wish I could actually test them! Curse NE weather!! I wanna live in Cali again! Wait, ...no I don't...LMFAO!! Man! Those look nice, well made. can you post the link where to purchase on ebay store? Looks good. 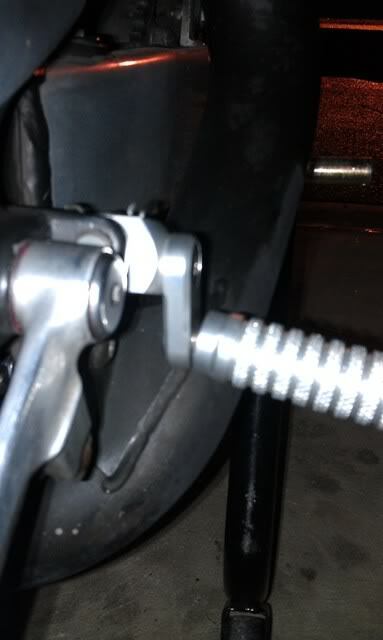 Then I gotta figure out a way to either rebuild and weld...or just go the Buell peg route...stay tuned. So now what? 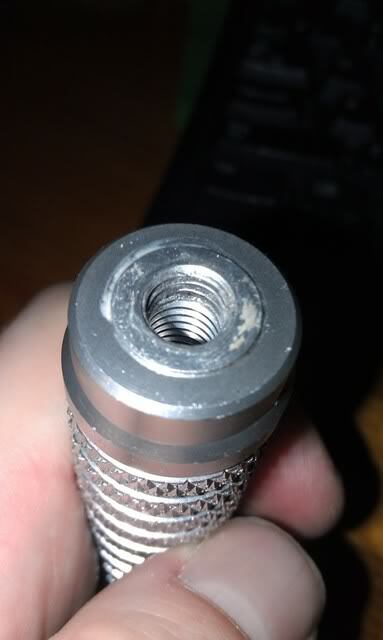 Find another peg with the same thread; maybe...well, most likely a longer (and higher strength) screw needed? 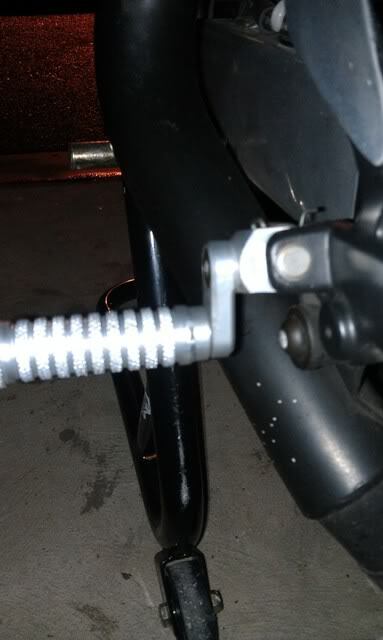 A longer bolt after retapping the thread? 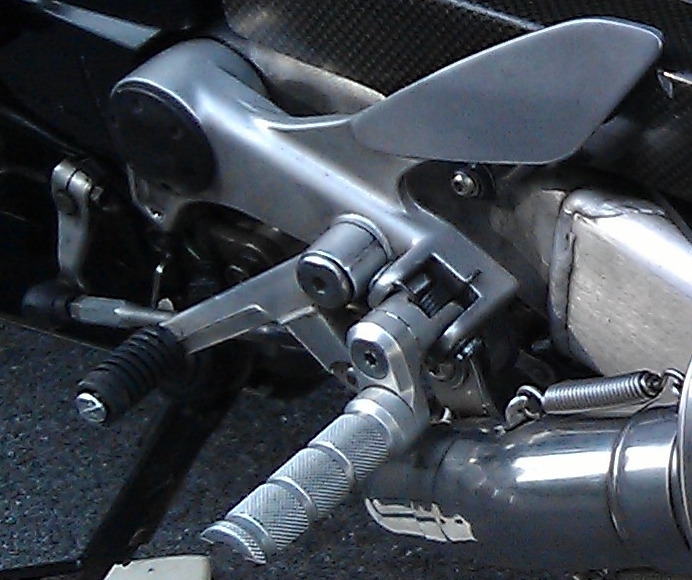 as it is only secured by what looks like half-an-inch into the footpeg. 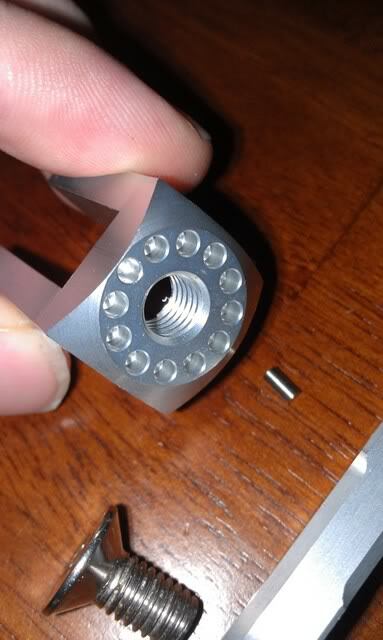 Well if they were mine I would have a set of pegs made up and have whatever the common metric size threads for that size hole tapped. 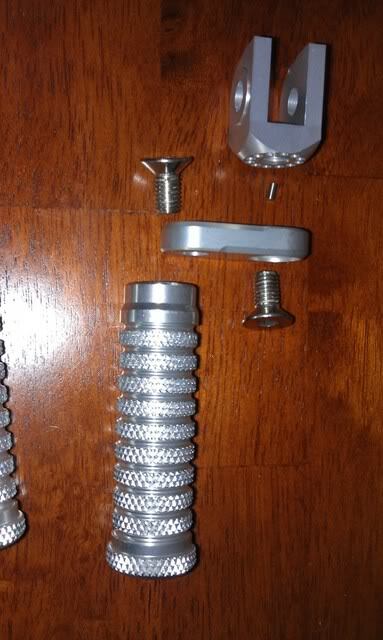 Then pick up so good quantity hardware to bolt it together. Bandit400man, pop off the outside cover so you can get a better idea of the guts of the peg. 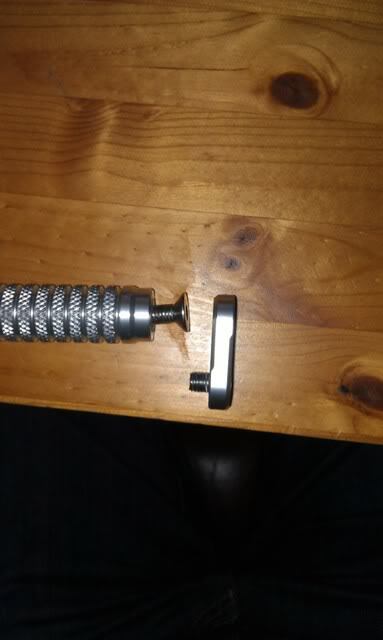 I wouldn't doubt its just a threaded collar inserted into the peg. Maybe theres alot of slop in there. 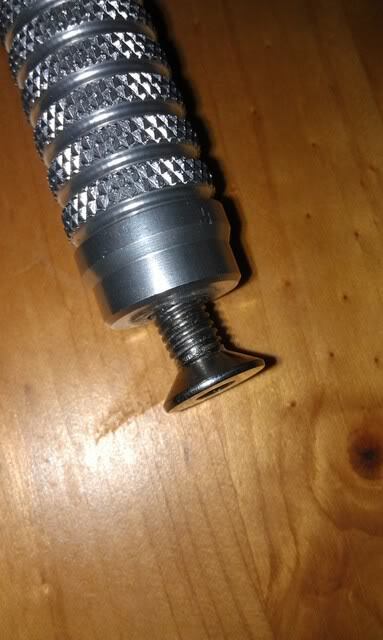 If it was one solid piece of aluminum, I couldn't see how it would do that with the threads??? Well, That is just grand.... 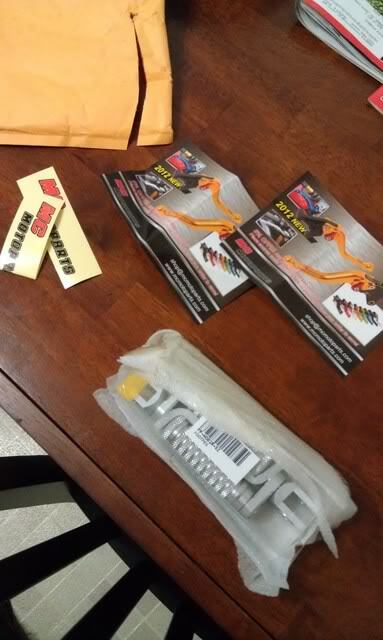 I ordered two sets of these, for my brother, and father(Test RAT bikes)... 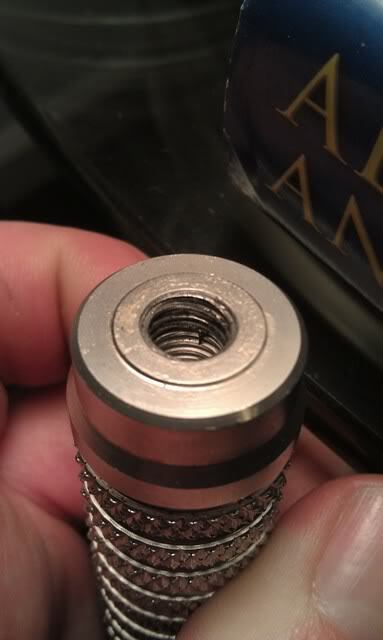 Seeing this addition to the thread is poor..
you could tap it and helicoil it then, and use a longer bolt? ah well, at least ya tried! These look very similar to the Cycle Pirates 360 pegs I have. More cost but I have about 4,000 mi. thus far and no problems, in case you decide to go a different route. I know others here use them as well, as stated in past threads and as you are probably already aware. Here is a pic from their web site. Bandit, it really looks like you can just beef up that bolt to like a #8 and drill and rethread the hole & be back in business. I have had the same thing happen on my woodcrafts, albeit on a 100mph crash, but you can fix that. 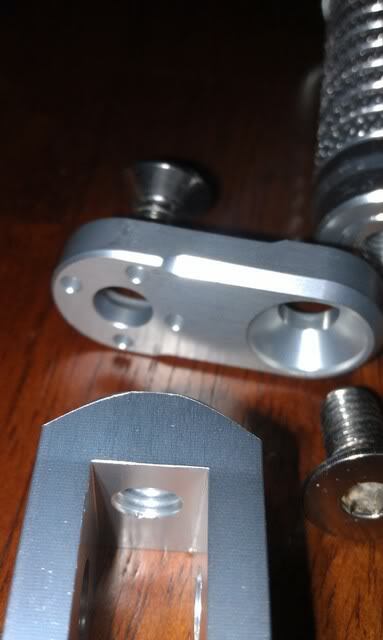 Check out fastenal or mcmaster-carr for the bolts. Real class operations. Oh and again, you did this for the greater good, so thanks. Kind of like we all should share our vitories and defeats so we all learn. Like that time I swapped my "blown" motor but it turned out to be a tank of diesel making it smoke. And Upland111, those do look exactly the same, albeit beefier...almost bought them till I realized I had to get the pegs separately...I'm just that cheap LOL. 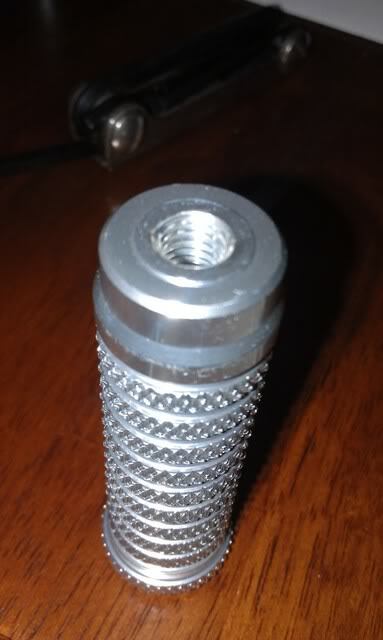 Talked with the wonderful machinists here at work and they're gonna enlarge the thread from M8-1.25 to 1/4-28 I think...also install an 1-1/2" L screw to max out the thread engagement. 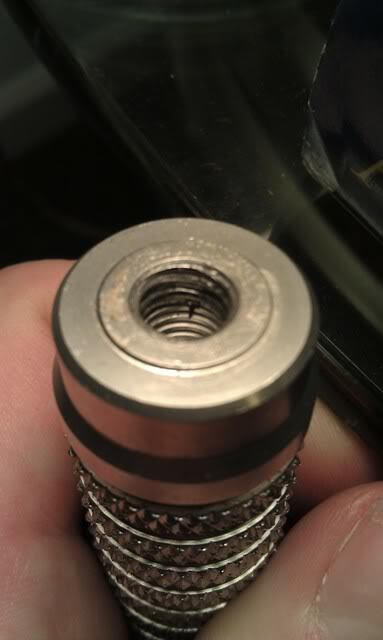 And if you see that little boss on the peg that the thread goes into? 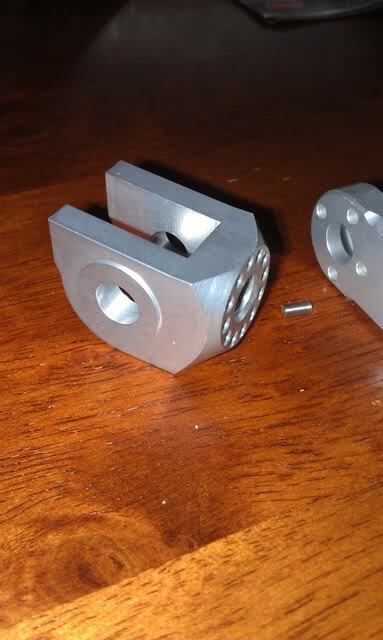 He's gonna turn that down completely flat to give it more surface area to lock into place better, less chance of tilt. 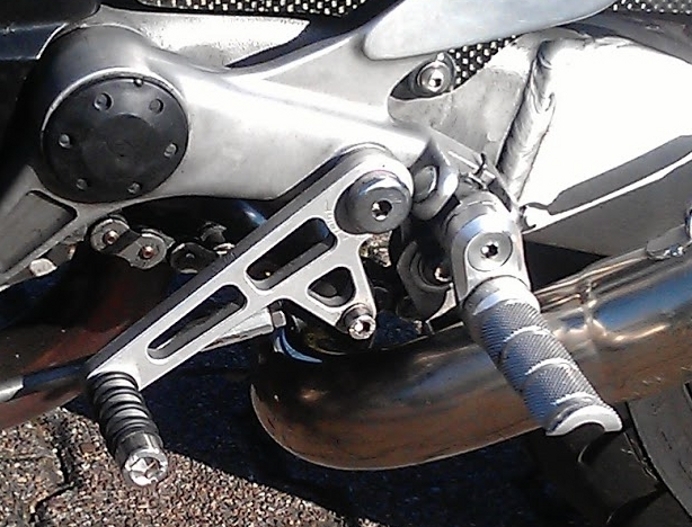 Either way if I find myself going to Daytona Beach for bike week this season, I'm bringing the old pegs as spares. No need to use the Saviours name in vain, I get the point. Take pics of your mods. 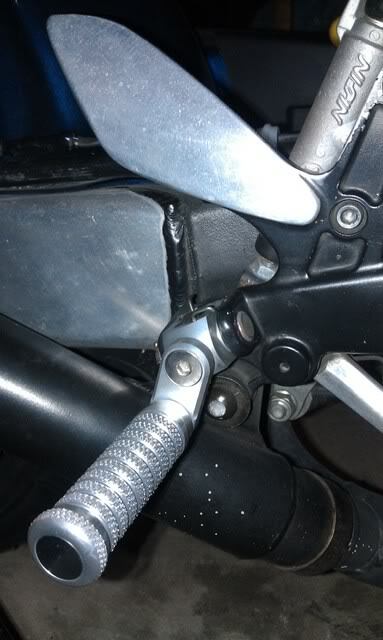 My buddy the machinist constantly finds stuff "wrong" with my bike & fixes it. 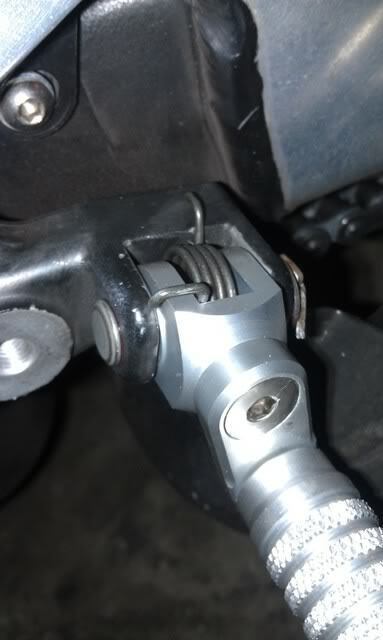 Most recently my single sided swingarm linkage. 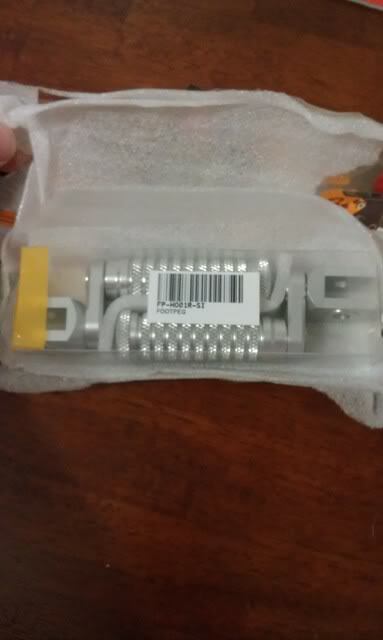 So I ordered these foot pegs after seeing them on Fleabay and previously discussing them, and other options a few weeks ago. So here they are, as they arrived from Hong Kong. 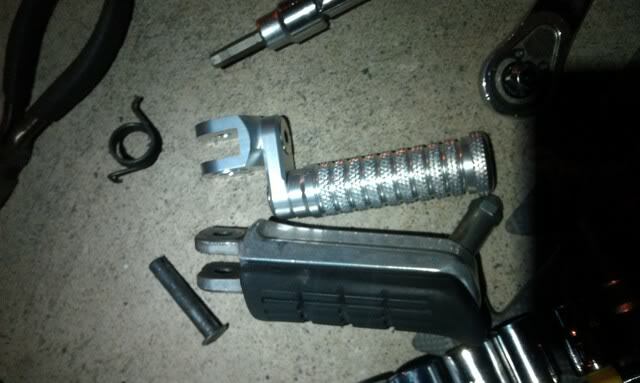 How was the price of the foot pegs? 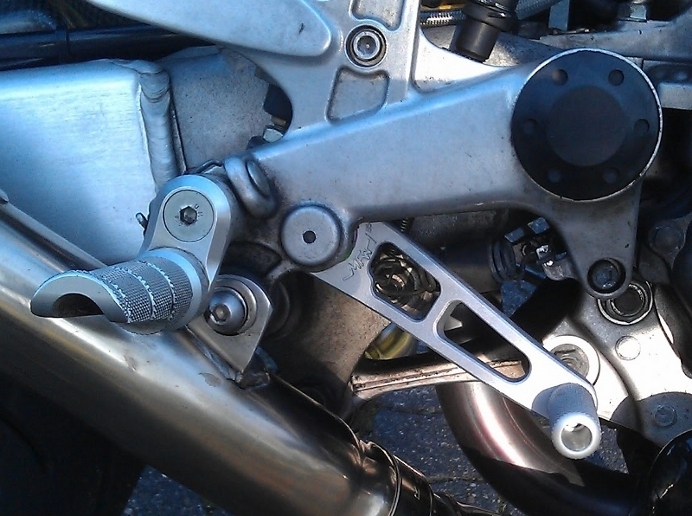 I bought the vario footpegs for my Hawk in Germany at the company Thurn Motorsports for 115 € (156 US $). 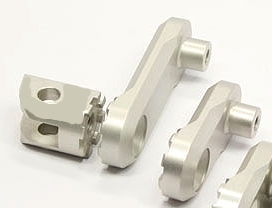 The vario foot pegs are eight way adjustable and have three different long side arms (hope, this is the right word for it ) with 0.98, 1.18 and 1.97 inch. The quality is very high. 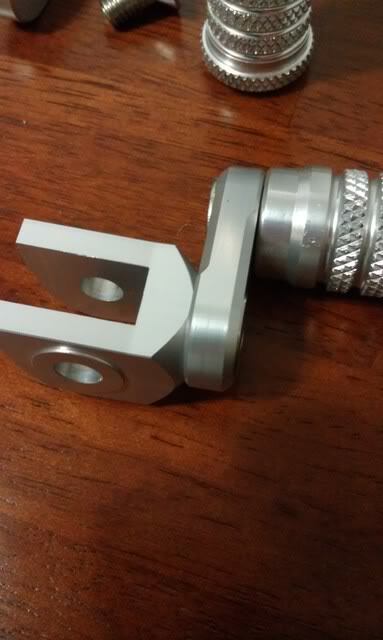 Now the knee angle is very kompfortabel. 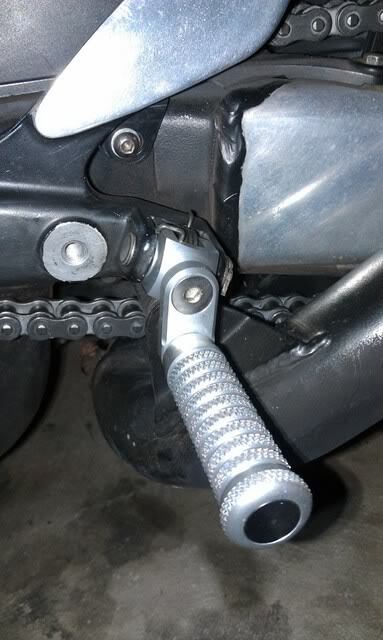 Don't want to miss the vario foot pegs. These are all nice foot pegs and I have a set myself that I don't use right now. 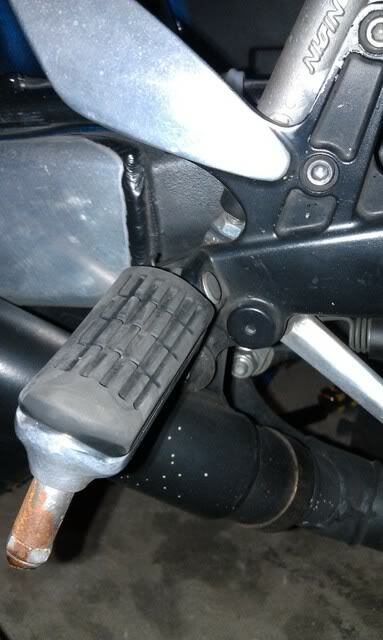 I don't know about you guy's, but they all have one common little issue, that did bothered me personally, and it could be just me... when you going for more than few hour trip, you do feel vibrations allot more without having the rubbers on the pegs and eventually it feels annoying to me... I would like to hear your take on this as well. NHSH, I'd agree on that. 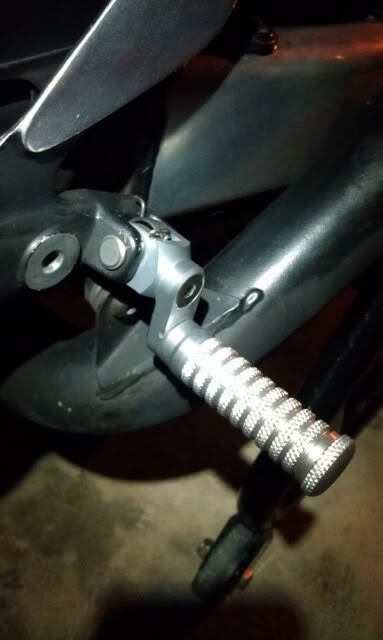 Had a set of cheap-o chinese anodized footpegs on mine for a while. Combat boots with thick treads were alright, but if I wore race boots or riding boots the thin sole made it pretty buzzy. Just an FYI, regarding the vibration level. Personally I have had Zero problem with the Cycle Pirates, as I have stated in other threads. It was actually a nice surprise because I was thinking it could be an annoyance, but wasn't. I wear the Tourmaster Solution 2.0 Air boots, but the boots are nothing special regarding the soul, so far as I can tell. ^Haha do that all the time! Last edited by Bandit400man; 02-04-2013 at 02:27 PM.